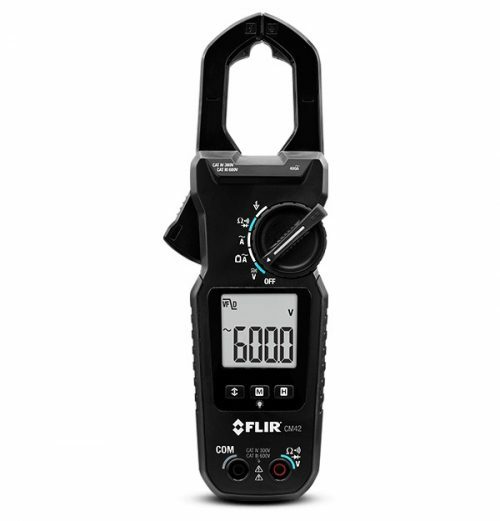 The FLIR CM85 is an industrial power clamp meter with advanced power analysis and variable frequency drive (VFD) filtering functions required by electrical troubleshooters for full-scale equipment. 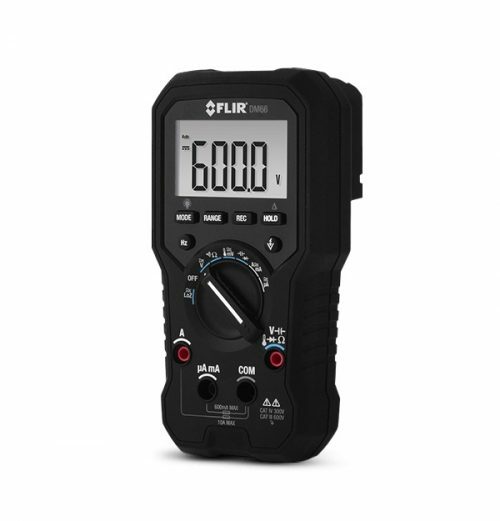 The CM85 helps users accurately analyze voltage in complex machinery by including harmonics, inrush, current, and phase rotation testing. 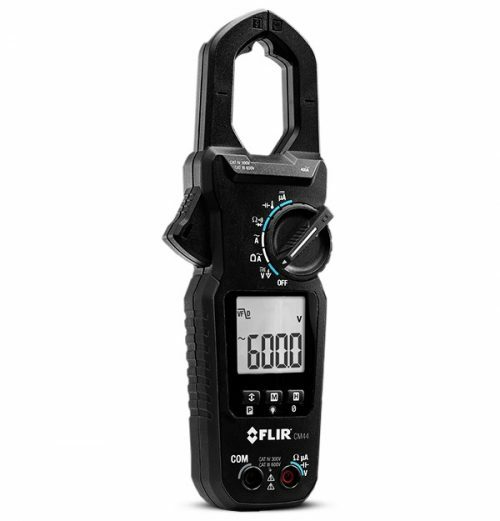 The meter also features Bluetooth for remote viewing and data sharing from compatible mobile devices, and METERLiNK technology to wirelessly embed readings into infrared images on compatible FLIR cameras. 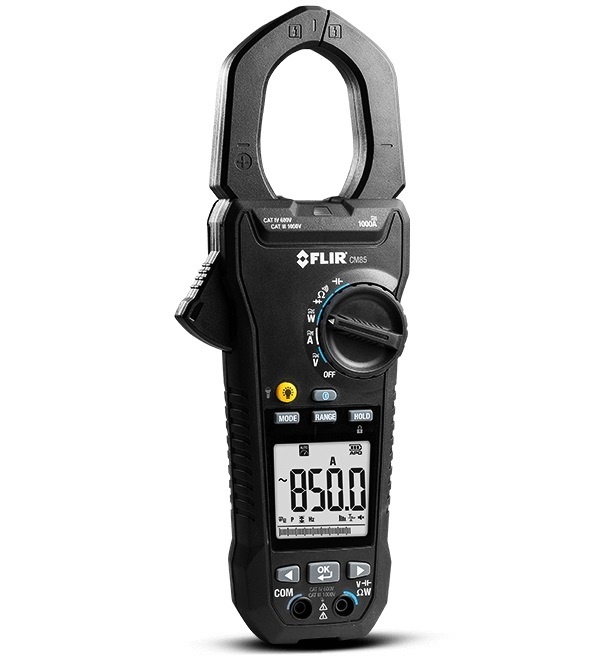 The True RMS clamp meters provide VFD Mode for superior accuracy while working on VFD-controlled equipment, and advanced power efficiency and harmonics measurements enable system-level performance analysis. 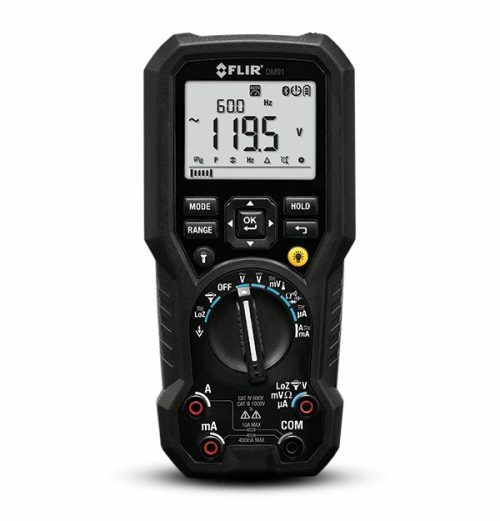 View readings from your mobile device via Bluetooth; METERLiNK technology wirelessly embeds data into thermal images on compatible FLIR cameras.